We build custom exterior and interior solid wood doors. We have produced hundreds of different door designs. We will evaluate a door design from an architect, building contractor, or homeowner. If it meets our structural requirements, we will build it. and with stained glass by the best artists in the area. We started manufacturing doors in 1995. Our first door was for an architect in Minneapolis. After seeing our door, our business has grown considerably simply by word of mouth. We have now shipped doors to 26 states, including Alaska. 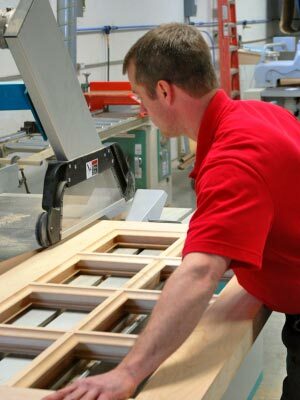 Most of our current door production is shipped to the Minneapolis/St. Paul area and surrounding six states. 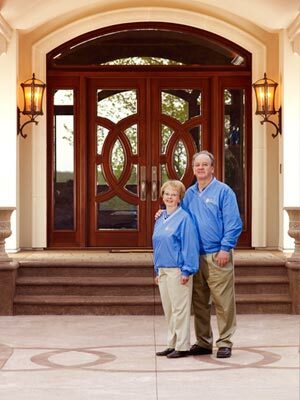 DOORS of DISTINCTION is owned by Ed and Joyce Gullickson. Their son Dan, along with Bill Tylee, both lend a hand in the operation of the business. Dan Gullickson: Dan is a direct partner in the business and a door craftsman. Bill Tylee: Bill is a door craftsman. Bill came to the business in 2009 with over 20 years of experience in the home building industry. Most recently, Bill ran his own business as a home building contractor, doing everything from rough to finish carpentry. We believe in using traditional woodworking techniques to make doors that will last for generations. We believe we are building the best custom doors possible.